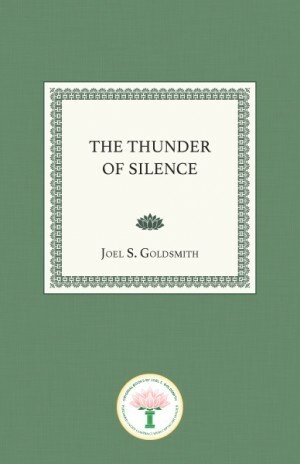 In the third part of the book, Goldsmith gives the reader an illumined interpretation of the Sermon on the Mount, which reveals the innermost secrets to attaining the realization of the Presence within. Effortlessly relating the Infinite Way principles to this extraordinary teaching of Jesus, Goldsmith works extensively with its challenging passages and reveals their deep meanings. He shows how practicing these ancient principles can help us to live in the world, but not of it. If we are fed by meditation in the blessed Silence that thunders with Truth, he says, we can live by the grace of God as the Light of the world.